The artificial lift systems company plans to open a sales/service location in the Midland/Odessa, TX area in the spring of 2012. Our jet pump has no moving parts down-hole that might fail. In our ULTRA-FLO system, the jet pump is combined with an extremely reliable Wanner T8045 diaphragm pump. 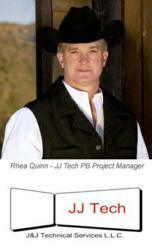 J&J Technical Services, LLC (JJ Tech) announces plans to open a sales/service location in the Midland/Odessa, TX area in the spring of 2012. They will open their Permian Basin location with Project Manager, Rhea Quinn. "Rhea has considerable artificial lift experience, specializing in well optimization. This will really help us hit the ground running in late April,“ says Lamberth. Lamberth also stated that the company was considering opening as many as two more sales/service locations in the near future as the demand grows. JJ Tech is a US based, world-wide supplier of artificial lift systems to the oil and gas industry. The company currently has eight international and US distributors, three new pending international distributors, and approximately 200 hydraulic jet pumps placed throughout the world. Please refer to the JJ Tech website, http://www.j-jcompanies.com, for more information and to register to receive future press releases by e-mail.